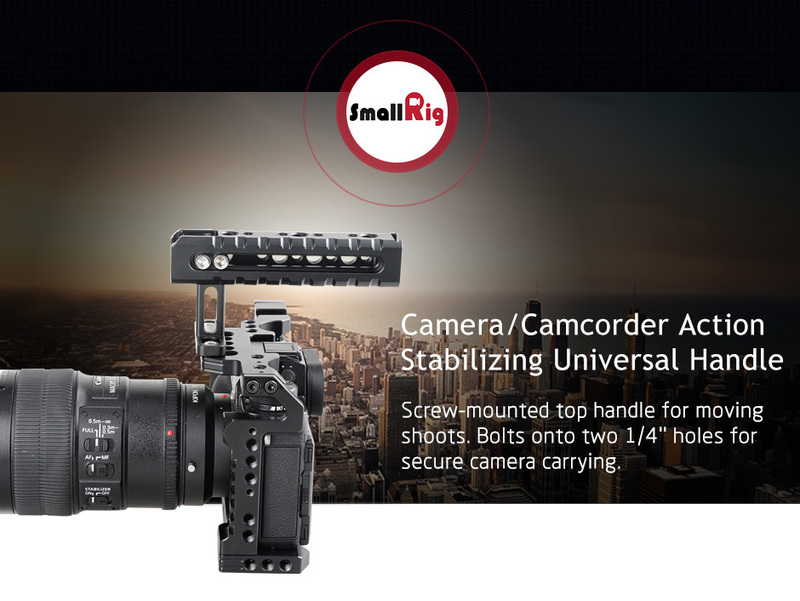 SmallRig Camera/Camcorder Action Stabilizing Universal Handle 1984 is a universal top mounting handle for moving shoots. It bolts on to two 1/4’’-20 holes spaced 36mm apart center for secure camera carrying. Two shoe mounts are found on the top and at the back for attaching on cameras lights and microphones. Accessories can be attached using the multiple 1/4’’-20 and 3/8’’-16 holes in standard spacing and two Arri standard accessory mount. 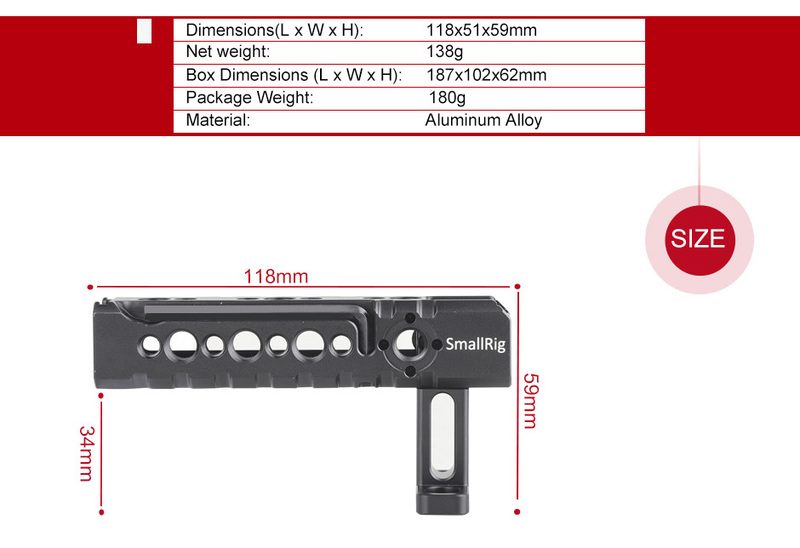 Additionally, we specially offer a 1/4’’ spanner for free access. It is quite convenient when you need to adjust the handle forwards and backwards for camera and rigs balance. Great size for the camera and it has the magnet to hold the allen wrench for all of your other accessories. I think you will be satisfied with this purchase. I like this universal handle a lot because it could offer lots of extension choices for me because it is equipped with multiple cold shoes, 1/4’’-20 and 3/8’’-16 threaded holes and Arri locating points etc. It could be used in handheld shooting. Isn’t it smart?